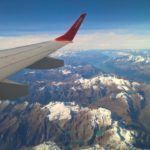 Have you ever booked a flight and wondered whether or not you actually got the cheapest price available? I totally admit to looking around at the other passengers on a flight and wondering how much they paid for their seat. 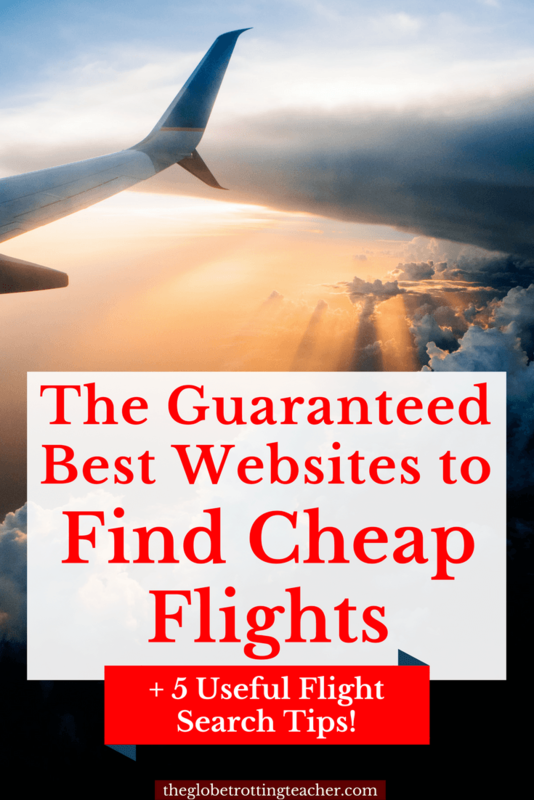 Searching for cheap flights can be tricky with so many different websites to choose from. There can be pages of search results to look through and uncertainty over whether now is actually the right time to book. Let’s get rid of some of the guesswork, shall we? 5 tips to use in your flight searches no matter which search tool you choose. Ok, so how many of you have comparison shopped for the best airfare on websites like Expedia, Orbitz, and Travelocity? I’m willing to go out on a limb and say many of us have done these exact comparison searches for countless trips. Now, let me ask. Did you know Expedia, Orbitz, and Travelocity are all owned by the same company? In fact, large travel brands like Expedia, Inc. often own many smaller booking sites for airfare, hotels, car rentals, cruises, and more. 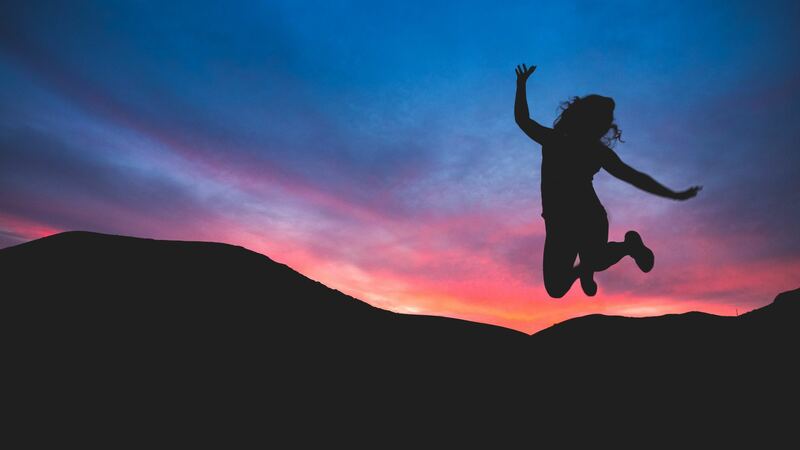 So, when you think you’ve comparison shopped for the cheapest airfare on sites like Expedia, Orbitz, or Travelocity, you may have actually just seen the same results over and over. Even slight price differences in these comparison searches often prioritize the cheapest booking results to include booking sites all owned by the same company. 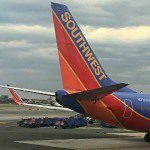 To be clear, it’s not that Expedia, Travelocity, Orbitz, and other popular OTAs (online travel agencies) don’t ever have the cheapest flights. But, it’s important to understand the process and why it’s in your best interest to search on websites whose function is not a booking site, but rather a website where airfare prices are pulled from numerous airlines and travel websites regardless of the parent company. These types of websites are called aggregators because they do just that. They aggregate or bring together all the information about the fare prices for your selected route. Have you heard of this “secret” Google Flights feature? Using Google Flights to search for cheap flights is simple and straightforward. Enter in your search details and results from many airlines will show. The calendar lets you scroll to check for cheaper dates. 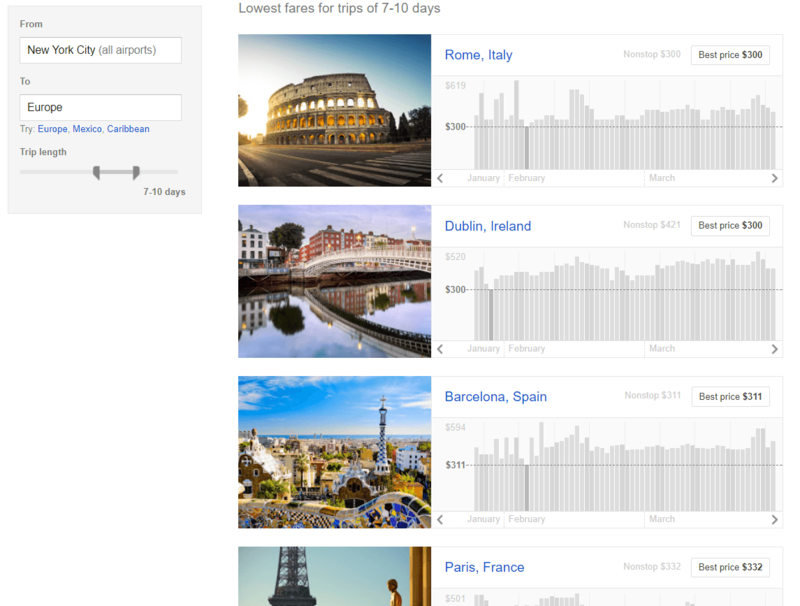 Google Flights will also show money-saving tips if you change your day or airports. There are filters for price, the number of stops, time day, airlines and their alliances, and even the ability to select preferred cities for possible connections. If you’d like to track fares, turn on the “track prices” button to get email alerts for your route. You can also expand the map view and drag the red marker to different departure and arrival cities to compare fares. However, Google Flights also has a “hidden” explore feature that is perfect for flexible travelers. Navigate to Google.com/flights/explore and search airfare from your departure airport to entire region. For example, I can search New York City to Europe or the Caribbean. If you find a flight on Google Flights, select that flight and you’ll be redirected to the booking site. Flights cannot be booked directly on Google Flights. Momondo is a powerful search tool with a lot of possibilities. It’s a comprehensive aggregator that pulls in airfares from over 1000+ airlines, online booking sites, travel agencies, search engines and other travel discount sites. In fact, studies across a wide range of travel booking sites have shown Momondo to find the cheapest airfare 95% of the time. 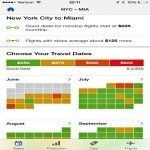 At its most basic level, Momondo can search for the cheapest flights on your selected dates, but also shows a bar graph above the results letting you know the least expensive days to fly. With the prices, Momondo shows the seat class, additional fares, and a happiness (or lack thereof) rating. Advanced search features include selecting connecting cities and limiting searches to specific airlines and alliances. Once your results have displayed, on the right side above the bar graph, you can click on flight insights for your chosen route. Momondo will show historic pricing data, including the days, times, and airlines which have known to be the cheapest. Momondo also shows numerous budget airlines in their searches. For example, a search for short Southeast Asian flights will show budget carriers like Air Asia, Jetstar, and FlyScoot. Momondo frequently creates itineraries with different departing and arrival airlines, saving you the time it would take to search each leg individually in order to identify the best price. With the Trip Finder feature, you can click on a theme like “beaches” or “cities”, set the continent, month, and budget, and Momondo will return with trip ideas and the best times to visit based on price and weather. Even better, in your flight search set your destination to “anywhere” and let Momondo show you destinations. Momondo is not a booking site so, once you find the flight you’d like, you’ll be redirected to the appropriate booking site. 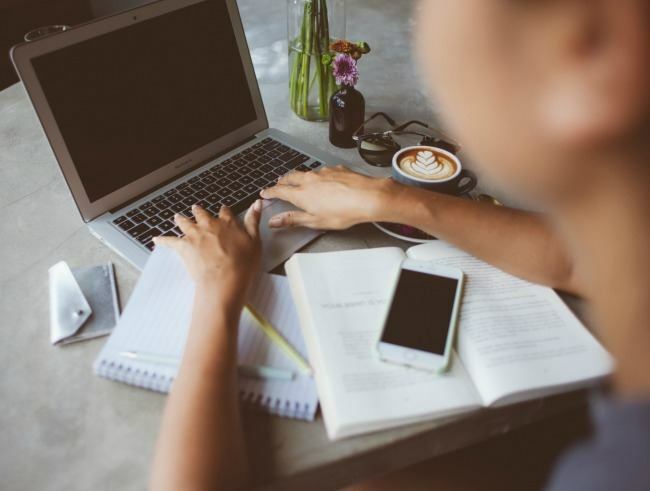 Some travelers report feeling unsure about unfamiliar booking sites so be sure to read the terms and conditions and, ultimately, book on a site with which you feel comfortable. Momondo is recommended by trusted sources like Scott’s Cheap Flights, Frommer’s, and the New York Times, among others. To learn more, read why you need to know Momondo for cheap airfare. 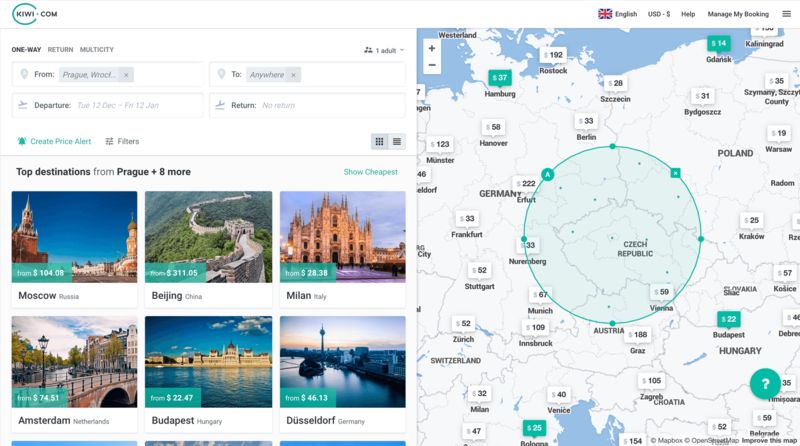 Another comprehensive aggregator, Skyscanner doesn’t rely on third parties, but searches over 1000+ airlines, booking sites, and travel agencies for the best airfare. After entering your search terms, you’ll have the option to see a calendar view or a chart. Both aim to show you the most affordable dates to fly your selected route. Once you choose your dates, Skyscanner will show your results. The results can be filtered by factors like date, time, airline, and alliance. As with Google Flights and Momondo, you can’t book your flights on Skyscanner. You’ll be redirected to the appropriate website. 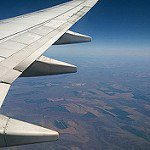 If you’re booking an economy fare, watch out for basic economy fares versus regular economy, as sometimes it’s not obvious which you’re booking until you’re offered 2 price options while being redirected from Skyscanner. Skyscanner also has an explore map feature. You can see which cities are affordable to fly to from your home airport. There are also monthly deals which search for the best airfare prices to “everywhere” from your departure city. This could be you after you score a sweet mistake fare! A mistake or error fare is exactly as it sounds. Human errors happen and a zero is missed or a decimal point is in the wrong place. If you know where to look and take advantage right away, you could end up with an unbeatable airfare! Scott’s Cheap Flights is an email service sending out multiple alerts each day about error fares and deals. You can subscribe for free or pay $39 for a year of premium service. Premium subscribers hear about 100% of the deals and more quickly than those subscribers on the free plan. We’re talking serious deals to be had! Secret Flying and The Flight Deal post mistake fares and daily deals throughout the day as they are discovered. 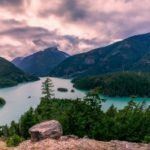 Wanderlusters will want to follow both on social media and have their bags packed and ready for just about any destination on the globe. Called a “consolidator” in travel-speak, CheapOair is a website which purchases blocks of tickets from airlines directly for the cheapest rates and then resells them to customers slightly above their cost. Similar to Secret Flying and The Flight Deal mentioned above, FareDealAlert and Airfarewatchdog are good websites to look for error fares and timely deals. Kiwi operates a bit differently by piecing together the cheapest itinerary with unconnected tickets on a variety of airlines. You can search a range of dates and destinations for the cheapest airfare. The risk comes if you miss your connection or a flight is delayed because the individual airlines have no responsibility in helping you out because of a problem on another airline. Bags may also have to be rechecked depending on your routing. Kiwi does offer some assurances, though, should you miss a flight or have a flight change or delay. They’ll either reschedule you on the next, most convenient flight or refund the price of your unused tickets. Either way, Kiwi is best for flexible travelers looking for the best price. AirWander is a flight search tool that calculates the cheapest stopover cities to add to your trip itinerary. A stopover is different from a layover or a connection in that it lasts for at least 24 hours. 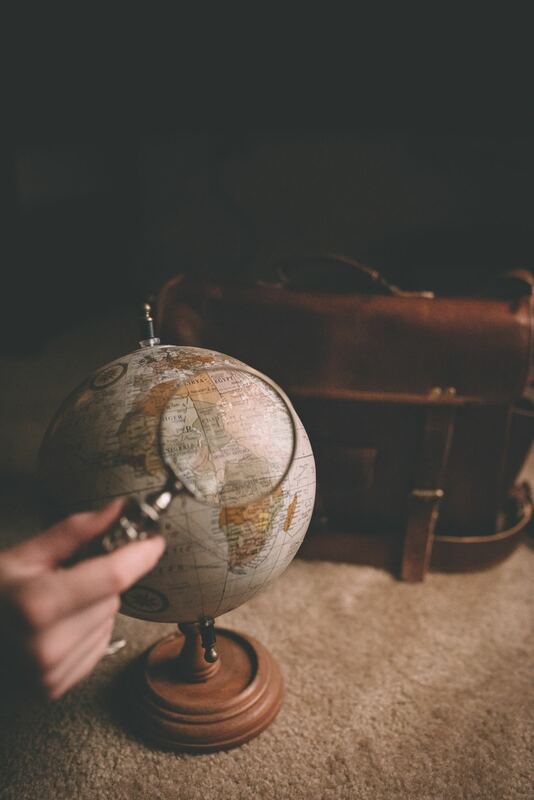 Adding stopovers to your itinerary adds destinations to your overall trip. And, who doesn’t love visiting more cities and countries when you travel?! Award travelers are familiar with the concept of stopovers because many airline loyalty programs allow free stopovers on tickets booked with airline miles and points. However, adding stopovers hasn’t always been cost-effective or convenient to figure out when searching on traditional flight search engines. That’s where AirWander comes in. It’s the only flight search website that makes it beyond easy to calculate and add stopovers to your flight itinerary. Simply enter your departure airport, your destination, and your travel dates. AirWander will suggest cities for stopovers and show the +/- price differences associated with each stop. 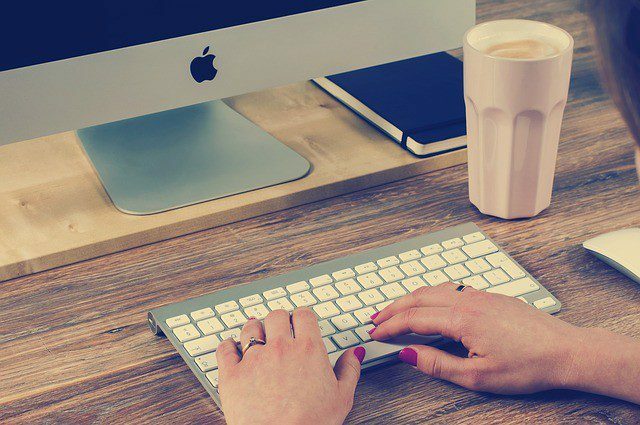 No matter where you want to fly or which website you ultimately decide to search for cheap flights, it’s not all about which search engine you use. If you’re wondering how everyone else always seems to find a better deal than you, it could be they’re using 1 or all of the tips below. Websites and browsers store information about the sites you have visited. This could cause prices to go up the next time you return to your search. One way to get around this is to use an incognito window or a private browsing feature while searching for airfare. If you use Google Chrome, click on the 3 dots in the upper righthand corner to open a new incognito window. Chrome and Safari users can also press “control + shift + N for a new incognito window. Internet Explorer and Firefox users can use the keyboard shortcut “control + shift + P” and a new private browser window will open. Keep in mind, you should open up new incognito/private windows every time you search. Yet, even with this, websites will begin to figure out who you are. If you see airfare prices have gone up from the last search in an incognito/private window, switch to a different device. 2. Let the Deals Find You. Truly savvy travelers who routinely “find” the best deals oftentimes don’t actually do much searching. Quite the opposite, they let the deals come to them. First, look for mistake/error fares and/or downright cheap deals on websites like Secret Flying and The Flight Deal. Sign up for emails from Scott’s Cheap Flights. When you see an incredibly cheap fare, book it and then figure out why you should go there. In my travel hacking Facebook Group, a member did just this. He and his wife were looking to take a trip. When they found an unbeatable fare from their home airport to Iceland, they booked. It was only after this when they began researching things to do and all the must-see spots in Iceland. Bottom line is, being flexible with your destination and taking advantage of deals as they come up can return big rewards. 3. Don’t miss out on a timely mistake fare or deal. Are you seeing fare deal notifications first in your FB feed? Knowing where to look for deals is only half the battle. You need to make sure you don’t miss out because many mistake/error fares typically are gone in 24 hours or less. With so many notifications, emails, and social media messages vying for our attention, it’s easy for an amazing deal to miss your radar. 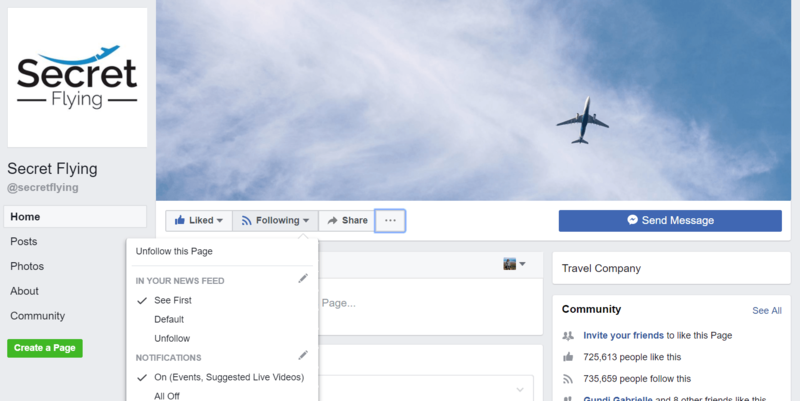 Follow Secret Flying and The Flight Deal on social media and sign up for their email lists. If you’re on Twitter, create a list with just a few flight deal accounts so you don’t miss deal tweets. On Facebook, I’ve liked these pages and set it up so Facebook shows me their posts first in my newsfeed. Like the Facebook page and click the “Following” button for the drop-down menu with options about notifications. Scott’s Cheap Flights has a premium email service which will even text some of the best deals directly to your phone. This is how I booked an $81 round trip ticket from Philadelphia to Las Vegas or a $320 round-trip flight from New York to Malaysia! Once you set up a system to catch these notifications, you’ll be better positioned to see mistake fares and deals as soon as they are made public. In order to know if the price you’re seeing is a deal or not, take a few minutes to research what a typical airfare to your destination costs. Eliminating the obvious bargain-basement error fare, how will you otherwise know you should take advantage of a deal or price? The easiest way to figure this out is to use Google Flights. Enter from your departing and the destination to which you’d like to fly. Click on the field to enter a departure date, but let the calendar open. Scroll through the months and Google Flights will show the departure price for each date. You’re sure to see a price range you can now use as a guideline to make buying decisions later on. 5. 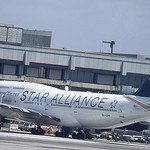 Use Wikipedia to find budget airlines. Wikipedia is a great tool for award travelers trying to figure out which airlines fly which routes. With this information, it’s easier to see which miles or points are needed to book an award flight. However, Wikipedia is also a great tool to find routes operated by budget airlines, especially when many of these airlines don’t necessarily show up in travel search engine results. First, you’re going to search in Google for the airport wiki page for your destination. For example, if you’re planning a Southeast Asian trip and you’d like to fly from Singapore to Bali, Indonesia, search “Bali airport wiki” in Google. The first result will be the airport’s wiki page. Open the page and scroll down to the “Airlines and Destinations” chart. You’ll see all the airlines that fly to Bali and from where. 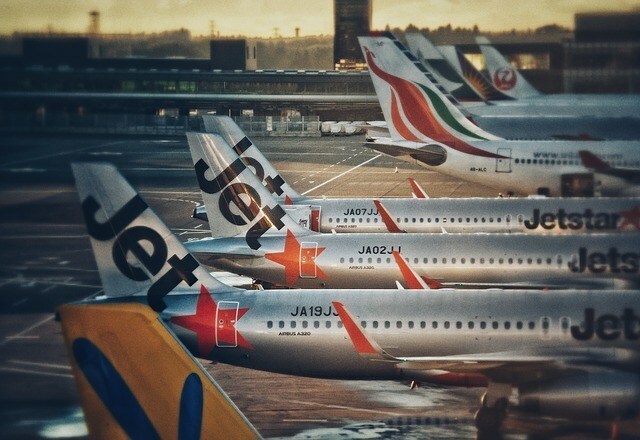 There are airlines like FlyScoot, Lion Air, and Jetstar Asia which you may or may not have shown up in your flight searches on traditional online booking sites. If not, go directly to each budget airline’s website and price the route you need. Finding the cheapest flights doesn’t have to be so complicated. Take the resources and tips in this guide. Formulate a strategy to use when looking for the best airfare prices. Once you do, you’ll know for sure you got one of the best deals out of all your fellow passengers! What tips and tools do you use to find the cheapest flights? 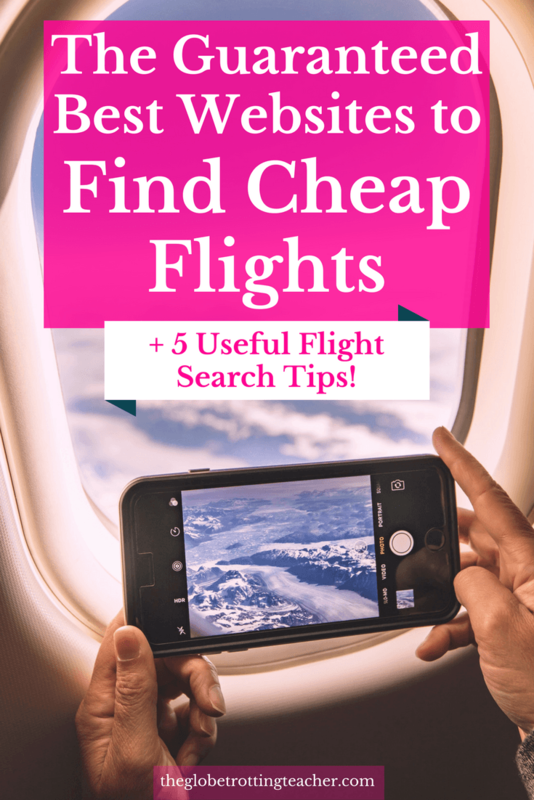 I also love using Google Flights to search for cheap flights! You’re right that it’s very simple and shows you money saving tips: one of the best resources ever! You’re so right about Google Flights, Dany! Kayak and Scott’s are my go-to flight checkers. Thanks for all the suggestions, quite a few things I’m not familiar with. I’m blessed to live in South Florida where we have so many airline choices. You can score a pretty cheap flight anytime. These are some great pointers. We have used Google Flights and Skyscanner, mostly Skyscanner. But what really interested me was the section on the Mistake Flights, this is something we have not tried. We hope to check out some of these sites. Also many times we look for the cheapest flights on Skyscanner and head out there. When you let the deals come to you, Sandy, it’s amazing the deals that could come your way. Good luck on booking a great mistake fare. Such an interesting and useful post. I knew that certain websites were owned by the same group but never in that depth. I liked the idea of checking google flights and following secret flying and light deal groups. Indeed i just followed them right away, Thanks for sharing. Yes… this is really useful. I knew some of them but not all. In fact, flight cost is one of the most intimidating aspect of travelling. for a lot of people. However, it just takes a bit of awareness and research to find out the right services and deals such as these. Agreed! Flights are such a big expense so saving every penny can make the whole difference on whether or not someone takes a trip or not. 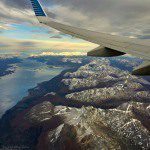 This is such a thorough overview of the different ways to save money on flights! I hadn’t heard about Secret Flying or Scott’s Cheap Flights before. Going to subscribe to both and put notifications on now! I love the idea of letting the deals find you. We’re heading to Europe later this year, and it’s great to know we can get amazing deals through those sites if we are flexible. We usually just use Skyscanner, but it never hurts to check around for even lower prices. Thanks for sharing all of your knowledge! Jen, Scotts Cheap Flights alone is life-changing. Whether you go free or premium, you’ll be amazed at some of the prices and deals he finds. Oh! I never knew Expedia own so many competing web sites. 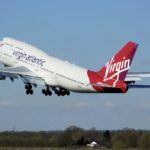 I have used Skyscanner but there are times I know for sure they are not the cheapest. I must try some of the other websites you have talked about. . I think there is no “One size fits all” website for the cheapest always fares. Definitely not a one size fits all website which is why it really pays to understand the sites and comparison shop. Thanks for these tips! I’ve used most of the websites you’ve mentioned, at some stage or the other, except Momondo. I love the hotel deals on Agoda as well, especially if you’re travelling to the East. Expedia has great hotel and flight deals and Skyscanner is a great tool to find the cheapest airfare. I have to dig a little deeper with Agoda. I’ve heard good things, Medha. Thanks for the tip. I actually didn’t know that Expedia, Orbitz, and Travelocity are all owned by the same company, and I like to think I’m on top of that stuff! I had no idea that the Expedia brand empire was so big!! I love all of the websites you mentioned for finding flights, Momondo, Skyscanner, and Google Flights, though I hadn’t heard of many for mistake and error fares, so thanks for that! I do like the rise of subscription services which have popped up recently, where someone has developed an algorithm for cheap flights and they send you alerts and notifications. I’m signed up to Cheap Fly Club which sounds similar to Scott’s Cheap Flights. Thanks for these tips! Thanks for reading, Gale. Hope you found a great deal. Thanks for reading, Paul. Hope you find a great deal on a flight!